This stylish silver dog tag necklace is a great accessory to any wardrobe. 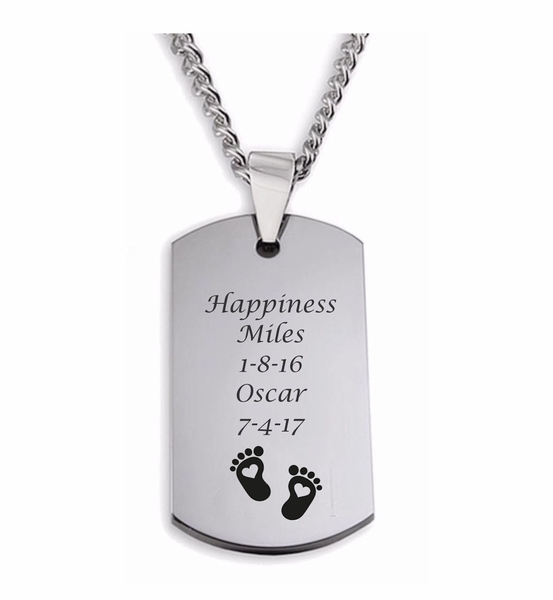 Not only are engraved dog tag necklaces very popular, but with a custom engraving you can be sure to wear something that is also unique. 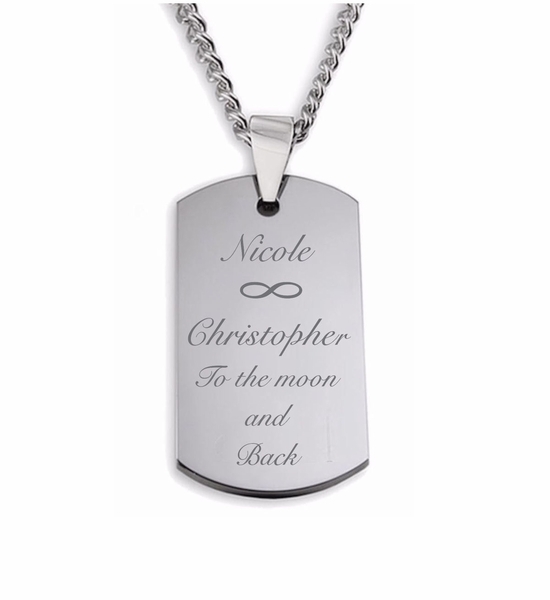 The dog tag pendant can be engraved with a name, initials, short message or engrave the dog tag with you and your sweetheart's names and special date. Each engraved dog tag includes a necklace along with the pendant[pictured]. 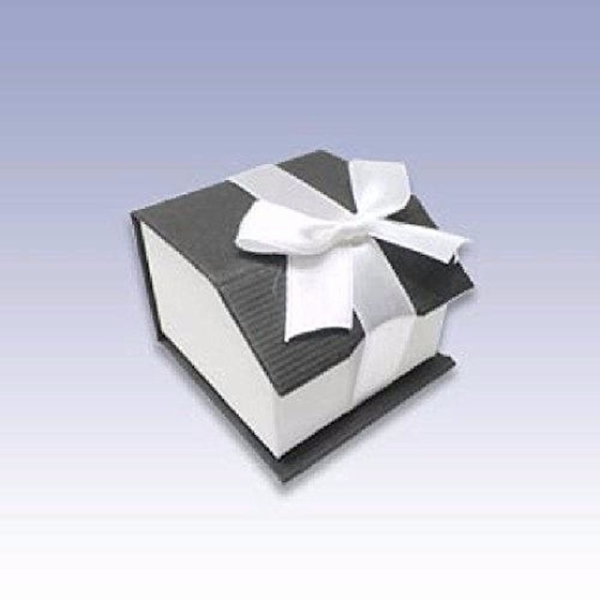 Dimensions: .875 inches wide x 1.375 inches tall.